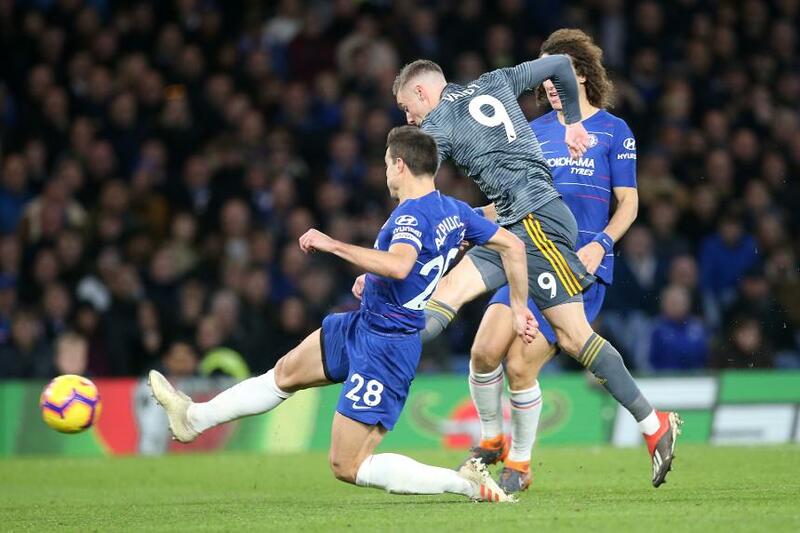 A second-half goal from Jamie Vardy inflicted on Chelsea a first home defeat of the season as Leicester City won 1-0 at Stamford Bridge. Chelsea dominated the opening 45 minutes and nearly went in front when Eden Hazard turned away from Harry Maguire, but his shot hit the crossbar. On 51 minutes, Vardy got the winner. An excellent turn and pass from James Maddison found the striker and he finished beyond Kepa Arrizabalaga. Kasper Schmeichel denied Hazard with a smart save, before Vardy came close to a second with a backheel. A third league defeat of the season leaves Chelsea fourth, level on 37 points with Arsenal, who beat Burnley 3-1 earlier in the day. Leicester's first win in four league matches lifts them to ninth on 25 points.